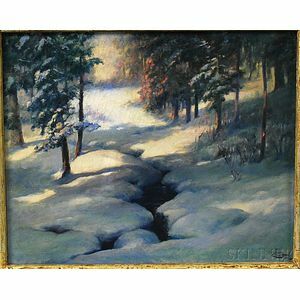 Snowy Brook in Dappled Sunlight. 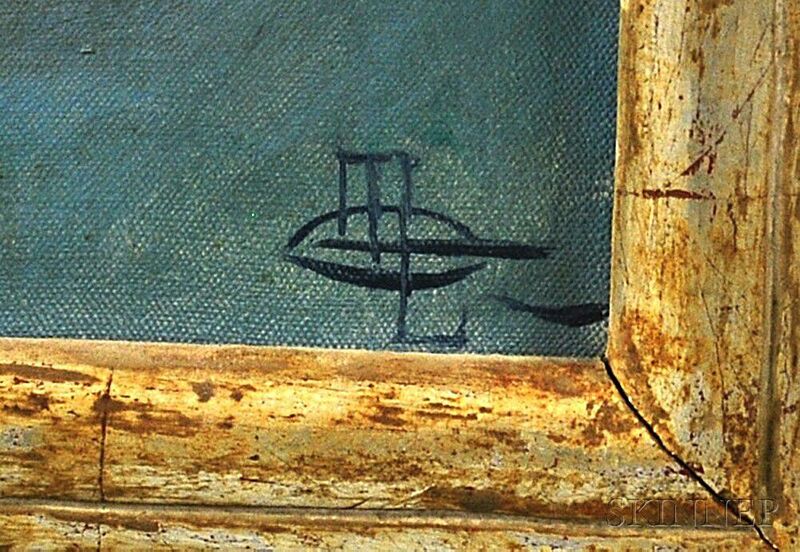 Monogram signed l.r., with remnants of Boston Art Club label affixed to the stretcher. 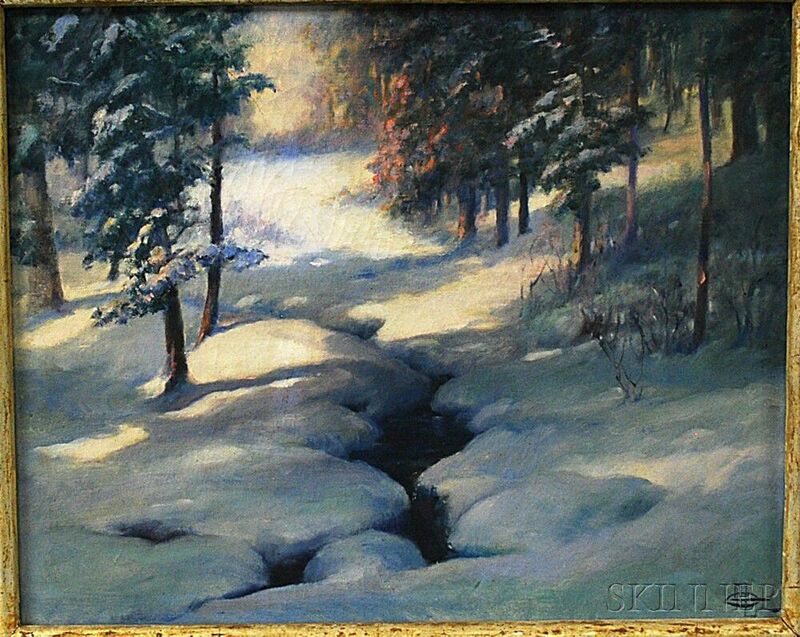 Oil on canvas, 17 x 21 in., framed. Condition: Small paint losses, craquelure, minor surface grime.